Long time readers of this site will know that I love to share stories of overcoming adversity. I think too often in the personal finance community, people focus the stories on the uber-successful, and gloss over the hard parts. This can make “ordinary” folks think that they can’t possibly ever succeed, because they’ve had a rough start/bad times/etc. 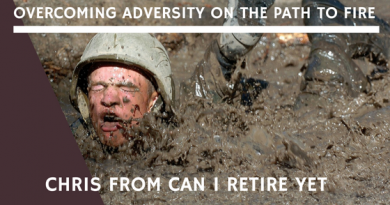 Today I interview Chris from Can I Retire Yet about his story of overcoming adversity on the path to financial freedom.